The organization of work and of the production of goods and services is experiencing profound changes that may strongly alter the way we work and the future of work itself. Cooperative employment tends to be more sustainable in time, suffer less income inequality, tends to be characterized by a better distribution between rural and urban areas, and enjoy a higher level of satisfaction and self-identity than the average. Cooperatives are also a large laboratory experimenting innovative and sustainable forms of work and work relations within the enterprise with continuous creativity and innovation. Almost a century-old model of work organisation based on worker ownership is proving its remarkable modernity to adapt to new challenges when work and working conditions are threatened. How do industrial and service cooperatives react to these challenges? What are the most recent innovative cooperative models, based on worker ownership, being established in response? 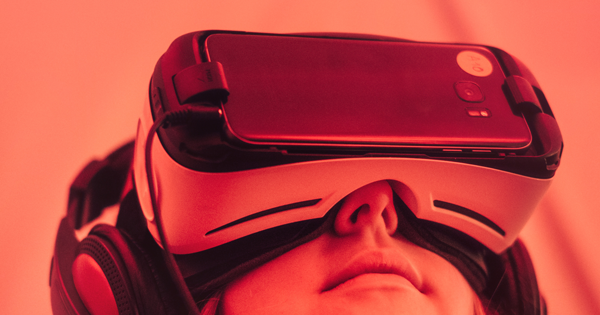 CICOPA’s strategic paper on the Future of Work attempts to answer to those questions and address recommendations to policy makers in that field. 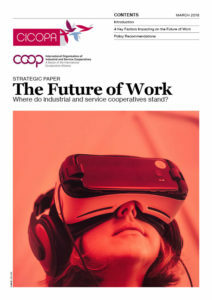 News: How can cooperatives in the platform economy shape the future of work? ← How can cooperatives in the platform economy shape the future of work?